Besides unconditional love for our children, all mothers have something in common – that moment when we touch something on our own clothing or skin and have absolutely no clue what it is. We run to our sinks in horror, scrambling to mentally identify what it was that our little cherubs could have smeared onto us and how long it’s been there. 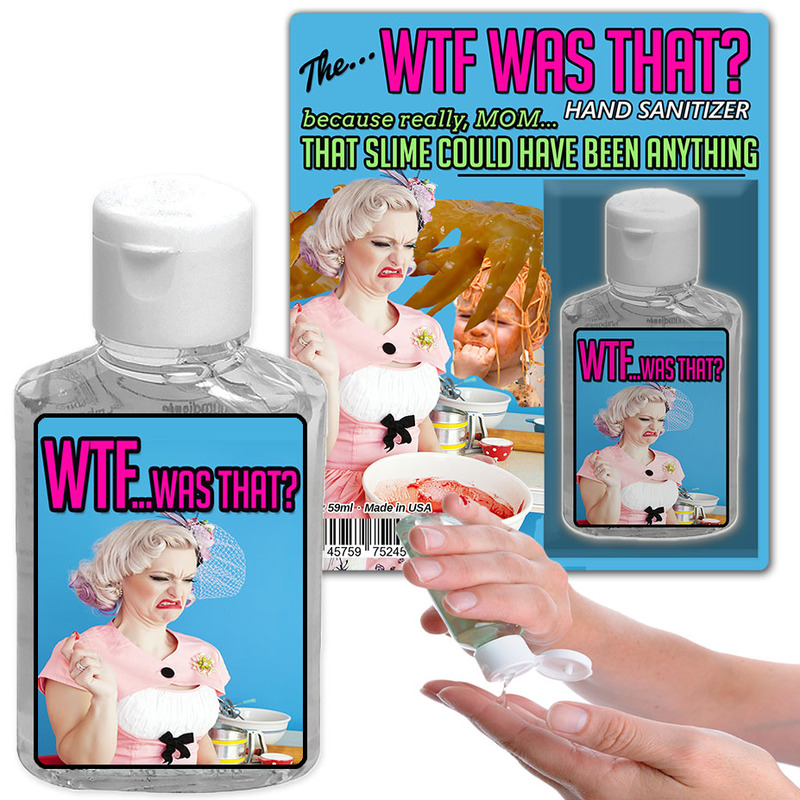 That experience was the inspiration for WTF Was That Hand Sanitizer, because really, Mom, that slime could have been anything. It’s funny, because it’s true. WTF Was That Hand Sanitizer is a mom’s best friend. We never know when it will happen, so it’s important to have a bottle of this funny sanitizer gel with you at all times. You could be at home, the park, grocery store, or out on the town for a long overdue date night when an EWW moment strikes. As soon as you touch a USO – unidentified slimy object – reach for the sanitizer and try not to gag on your way to the bathroom. Moms at every stage of the game will get a good laugh out of WTF Was That Hand Sanitizer, because we’ve all been there. Motherhood is messy, and 99% of the time, it’s not our mess. Veteran moms will love the hilarious honesty of the gift, and moms-to-be deserve the fair warning. WTF Was That Hand Sanitizer, because really, mom … that slime could have been anything.